Applying fire mimicry methods on a sick coast live oak. Photo by Lee Klinger. 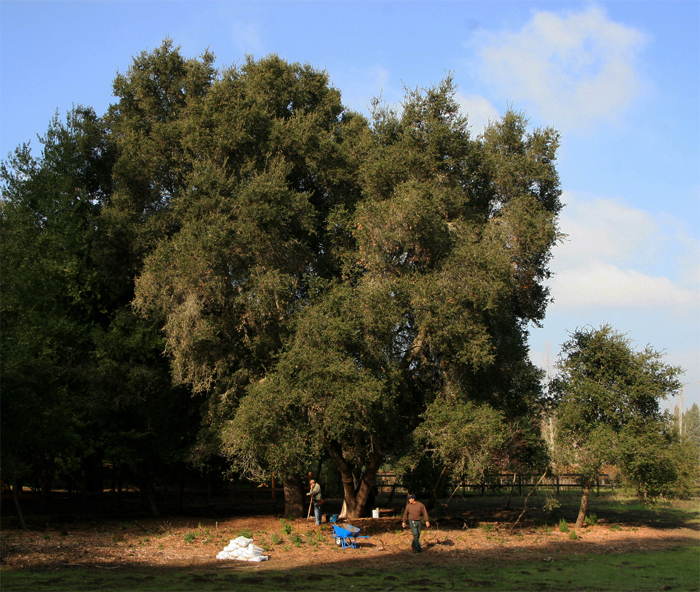 The Marin Waldorf School is hosting a Sudden Oak Life workshop on Saturday, April 2, 2011 from 10:30 am to 2 pm. I will be presenting information on the science and practice of fire mimicry techniques (including a demonstration) in the care of oaks and other trees. Marin Waldorf School is located at 755 Idylberry Rd. in San Rafael, CA. This “hands on” event is open to the public and the cost is $30, with a sliding scale. Please RSVP with the school front office at 415-479-8190. Santa Barbara area oak health alert! I’ve just returned from a visit to Santa Barbara where I am working on a number of properties with sick oaks. I’m not sure very many people are aware, but many of the coast live oaks in Santa Barbara are suffering. I’ve inspected dozens of properties in Santa Barbara and Montecito and in almost every case I’ve found one or more coast live oaks that are infected with bleeding stem cankers. Often associated with this stem canker disease (which exhibits symptoms similar to Phytophthora infections) are a variety of fungal pathogens (e.g. Hypoxylon) and insect pests (e.g. oak bark beetles). The sad thing is that the trees which are most affected by this decline are the large, centuries-old heritage oaks. Of course, while these diseases and pests are clearly involved in the final demise of the oaks, they are not the real problem. Decades of fire suppression in these fire-adapted oak ecosystems has led to nutrient deficiency in the soils, declining canopy cover, a buildup of acidifying mosses and lichens, and bark deterioration. 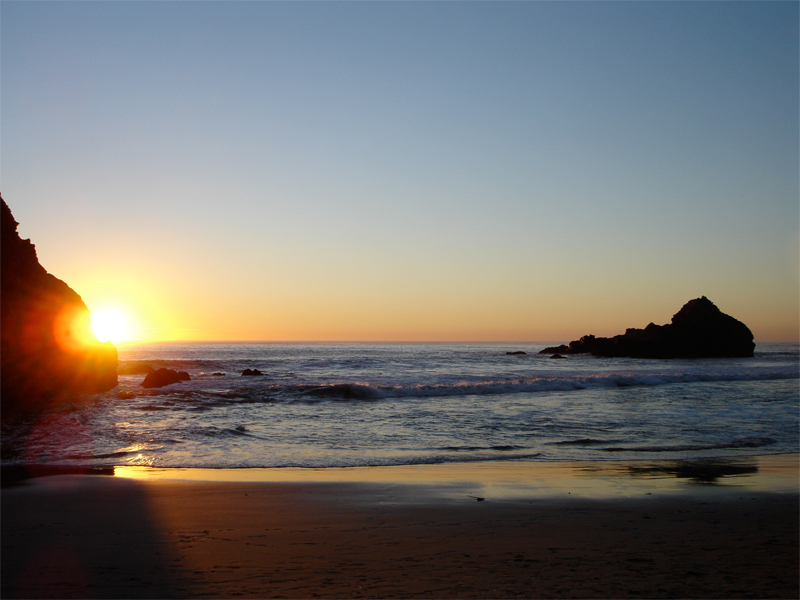 Sunset at Pfeiffer Beach in Big Sur. Photo by Sonya Klinger.